A single stone can heal the Sapphire Serum that's poisoning Ivy Taylor and destroy the powerful demon who is hunting her--but she has to find it first. 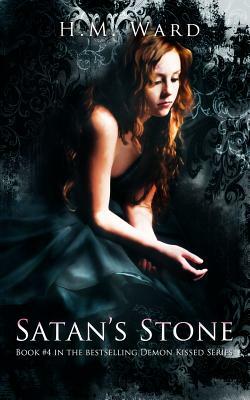 Forced into an alliance with her worst enemy, Ivy searches for Satan's Stone. But she learns that the cost of using the stone's power may be more than she can pay. If Ivy fails to retrieve the stone in time, she risks losing more than her soul and her true love--she risks the annihilation of the world. H.M. Ward was recently in the Washington Post about her best selling debut novel Demon Kissed. Ward interacts with over 50,000 fans and readers via her facebook page: facebook.com/demonkissed.